Revenge Solid reactive coverstock. This coverstock provides excellent length with an easily controlled big back-end reaction. Versatility and power makes this ball a must for any arsenal. 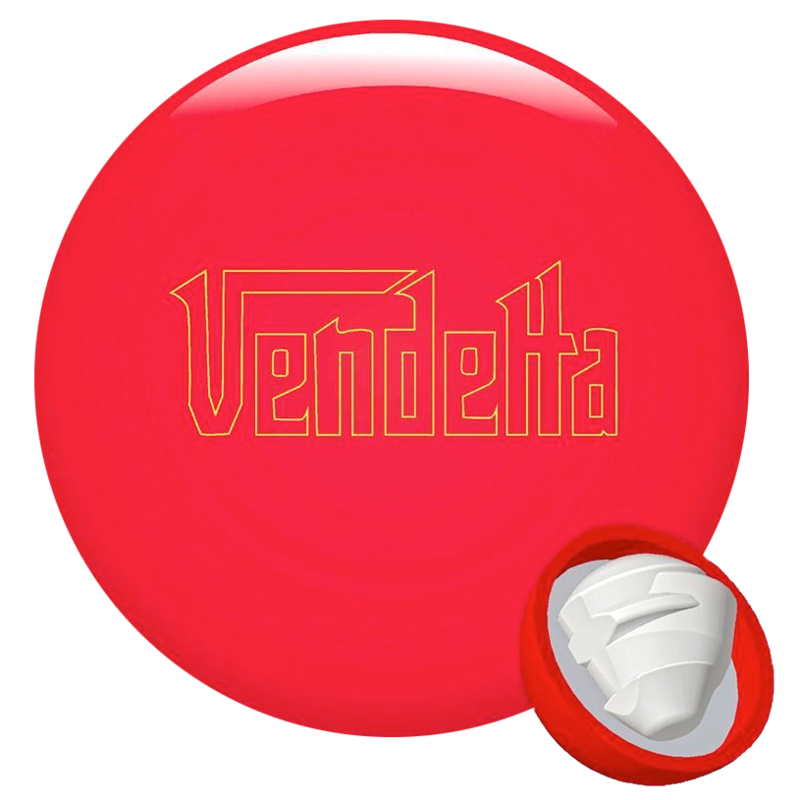 This is not just a face lift, the successor of the Vendetta is formulated to get revenge! We needed a versatile core to live up to the past Vendettas that were loved by many for strong rolling predictability. We nailed it with this Caliber core. This core enables players of all styles to get a great reaction and will enable pro shop professionals many options for fine tuning ball reaction.